We can't seem to get enough of Craig & Karl's always inspiring artwork, ever. 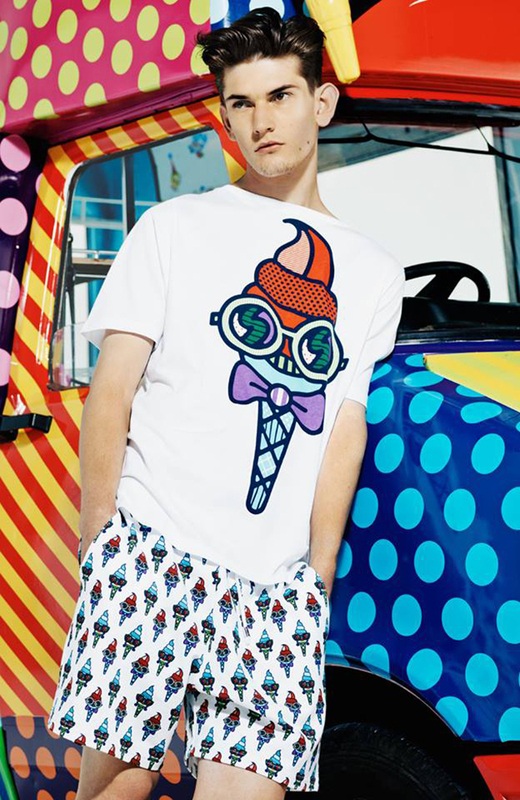 So when the illustrating duo teamed up with fashion designer Henry Holland from House of Holland for an exclusive collection we had to deliver the scoop! Starting today, Londoners will likely get a glimpse of a custom designed House of Holland "ice cream" truck singing its way through the British capital. Instead of tasty treats, the truck will be selling the new Mr. and Mrs. Quiffy collection (translates to puff in French). The collection is inspired by the world of ice and sweet treats, therefore this new kind of pop-up store: a traveling ice-cream truck, will be debuting Mr. and Mrs. Quiffy's scarves, shirts, dresses, skirts, iPhone cases, sunglasses, caps, and jewelry to the public through the month of August. Take a gander over to House of Holland's brand new website to see more of Mr. and Mrs. Quiffy's polka dots, checks, and stripes.